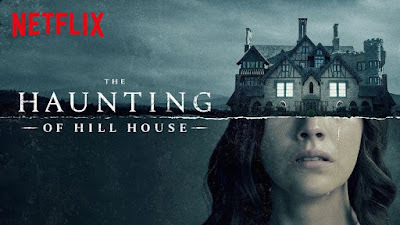 Just before Halloween, Netflix released the limited series The Haunting of Hill House, based on the 1959 novel of the same name by Shirley Jackson. The book already inspired an iconic film adaptation in 1963, The Haunting, and for my money, The Haunting is as good as classic horror movies come. It also inspired The Legend of Hell House from 1973 by way of writer Richard Matheson’s largely derivative source novel Hell House, and then a forgettable filmed remake with Liam Neeson in the 1990s. I say all of that to say this: I really, really like Shirley Jackson, and was so worried the creative team behind this 10-episode limited series would swing and miss. I need *not* have worried. This show is a masterpiece. There are simply not enough good things I can say about it, and I regret I wasn’t able to get a review together in time to be relevant. So instead, I simply tip my hat to a profound, intelligent, and moving work of art. That’s also a real long horror movie. Executive Producer and series director Mike Flanagan and his team of writers laid the foundation with a truly inspired adaptation. In Jackson’s original, a paranormal researcher named Dr. Montague assembles a team of sensitives to stay in Hill House, reputed to be the most haunted house in the United States. Hill House was built by Hugh Crain, an eccentric millionaire, and various violent deaths descended on his family, centering on the house. Montague hopes to prove scientifically that the spirits, and therefore the paranormal at large, are real, and assembles his team with the tough, worldly Theodora, the shy, reserved Eleanor Vance, and Luke Sanderson, heir to the house. It soon becomes apparent that Eleanor has a strong connection to the house, or vice-versa, and seems to be in danger of losing touch with reality or succumbing to the house’s ill will, depending on your read. How best to modernize what has been called the greatest haunted house novel of them all? Turns out, you start with nobody knowing the house is haunted, and make Hugh and his wife Olivia house flippers with a big family. Let the original haunting and horror befall the Crain family and their little children, and then, as adults, force them to revisit the house after their own experiences have formed the basis of the house’s reputation. From little things, like names — the way Eleanor Crain becomes Eleanor Vance, one of the Crain daughters being named Shirley — to big character stuff like giving Luke Sanderson’s alcoholism to one of the grown Crain children, and plot moments that are either direct quotations from the book or subtle homages, I could simply go on and on and on about the decisions made to both honor the source material while fully owning a new telling with a strong vision. There is a certain fatalism regarding human cruelty that runs through Jackson’s work. That is largely absent in the adaptation. There is certainly a fatalism — bad things, real bad things, are going to befall these people, through no fault of their own — in that the train is coming and no one will be able to stop it. But this family, however estranged from one another, have a shared love for each other at the core of their various relationships, and this pull provides the adaptation with a profound emotional shape and resonance. The whole season is beautifully directed, but Episode 6 has an utterly astonishing long-take in it that took my breath away on every level. From staging, to conflict writing, to set construction, to blocking, to dialogue and performance, to surprise and terror, there is simply no parallel that I’m aware of in film. I know about Welles, I know about Hitchcock, Altman, Cradle Will Rock, Birdman, and I’m telling you I’ve never seen anything like it. I could, and have, gone on and on in fine detail (wake my wife up and ask her), but I’ll leave it here. I hope Shirley Jackson would be proud. To steal a line from Ornette Coleman, beauty is a rare thing, and for this novel to succeed, and its film adaptation to succeed, and now this television adaptation to succeed on a bewildering scale...I am simply happy to be a fan that gets to experience it. Posted by Vance K — cult film reviewer and co-editor of the Hugo-nominated nerds of a feather since 2012. Musician and Emmy-winning producer. 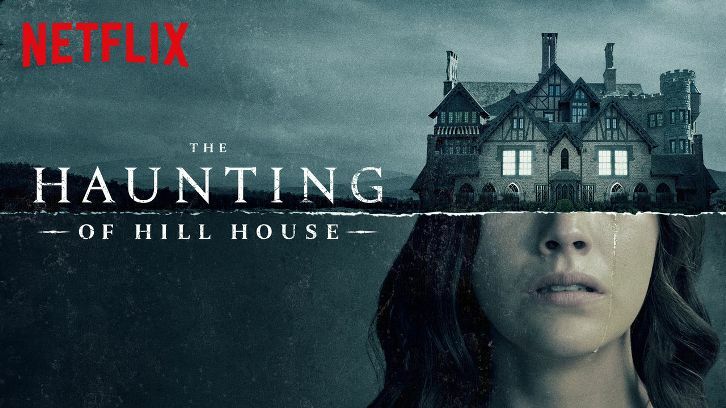 And look, a bunch a damn Emmys better fall like rocks on this version of Hill House. Just saying.